Student property has been a popular area for property investors for decades now. But in today’s property market, are there still opportunities in student property, and what do investors who are interested in this kind of property investment really need to know? Firstly, are there still opportunities in student property? The answer is most definitely yes. In fact, with 3% extra stamp duty to pay and restricted tax allowances student property is likely to become more attractive to property investors. The extra yields that this kind of property investment offers means that the numbers are still likely to stack up so a good return can be made even if the property investment climate isn’t quite so favourable. Also, the student loans system is actually good for landlords, not bad. Students can borrow relatively cheaply to finance their living costs now – and this enables them to afford (and even demand) better quality accommodation. What’s important to know about investing in student property? Students are also increasingly demanding in terms of the quality of accommodation. Private investors also have increasingly competition in some areas from developers and operators of purpose built student accommodation blocks. * Properties often located in cheaper areas to buy into, such as inner city locations. * Almost guaranteed demand year in year out, if you’re in the right area and have the right property. * Good prospects for price appreciation in future, especially if sold as a going concern in future. * Higher levels of wear and tear possible than with a single family let. * Careful and close management needed. * Properties are often only occupied between September and June, with tenants paying either no rent or a reduced rent over the summer. So how do you find the best opportunities in student property? * Location is all. Places you should consider investing …. highly rated universities that are heavily oversubscribed. Examples: Edinburgh. Manchester. Liverpool. Bristol. London. Leeds. Sheffield. Nottingham, Newcastle. Birmingham. Also, smaller locations which have large universities for their size and smallish property markets. 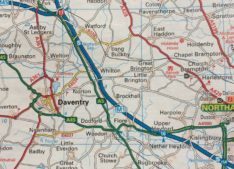 Examples: Brighton, Exeter, Warwick, Cambridge, Oxford, Chester, Bath. * Check local demand. Letting agents who handle student property will tell you about supply and demand. Always double check. In some cities, students are now favouring city centre locations where the university, nightlife and lots of other amenities are on the doorstep – rather than the traditional inner city student suburbs. And very important …. several major city universities have or are relocating within their cities. 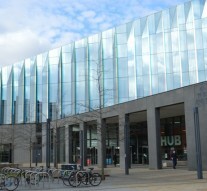 Where a university relocates its main buildings this can also affect the local market. Bear in mind that some universities are able to offer many students (especially first year students) a place in their own accommodation. * Make extra checks in areas with lots of new, purpose built student accommodation, or PBSA as it is known. 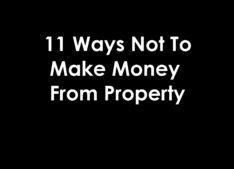 This can impact on demand for your property, although it is usually expensive in comparison with private student accommodation and does not appeal to all students. * Offer a good standard of property. Preferably large study bedrooms, a well appointed communal living area, ample bathroom accommodation. WiFi and good security is essential. The quality of tenants attracted and yields will be better. * Consider targeting specialist areas of student demand. Postgraduate students, often pay more and seek accommodation outside of traditional local areas. Foreign students also tend to pay more, for accommodation that suits their requirements. Check how many foreign students your local universities have and/or are planning to enrol. Accommodation for students with partners and families is in limited supply and high demand in some areas. Lastly, one important point to bear in mind when investing in student property is that student property is not in consistent demand at all times of year. 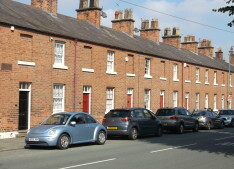 For example, students often start looking for accommodation in the autumn for the following academic year. In order to avoid voids it is a good idea to plan your purchase of student property so that it will be available for letting when students are looking to rent. Again, it is advisable to check out the market with local experts. 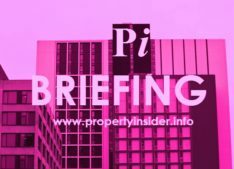 Next Article » Now that the Government officially hates landlords, what are the ways to survive and thrive as a property investor? 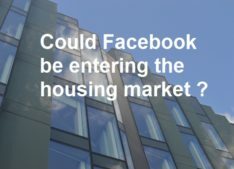 Could Facebook Be Entering The Housing Market?